WILLA is practicing her long-bow skills when a warning device alerts her to a MUTANT attack. WILLA and her sister NAYDA fight back until a MUTANT laser beam sets their roof afire. JACKALMAN kidnaps WILLA and takes her to Castle Plun-Darr. The THUNDERCATS rush to rescue her. TYGRA and NAYDA render themselves invisible and enter the Castle. TYGRA pretends to be a ghost and frightens JACKALMAN into releasing WILLA. TYGRA and WILLA fight S-S-SLITHE and MONKIAN and escape to the nearby forest, where they try unsuccessfully to become visible again. They realize only the Eye of ThunDERa can restore their visibility. They set out to find LION-0 and are attacked by VULTUREMAN. They subdue him and defeat MONKIAN, JACKALMAN, and S-S-SLITHE. LION-0 arrives on the hijacked Flying Machine and holds the MUTANTS off until he can summon the other THUNDERCATS. The MUTANTS are forced to retreat to Castle Plun-Darr. The Eye of ThunDERa restores TYGRA and WILLA to their normal states. Tygra uses his ability to become invisible to help defeat the Mutants and assist Willa, Nayda and the Warrior Maidens. But he and Nayda receive a scare when they cannot undo their invisibility and be seen again. Finally, through the powers of the Sword of Omens, they become visible and normal once more. Persons who are shy find themselves wishing at times that they were invisible, or at least not so evident to others. Their shyness makes them feel self-conscious and awkward in the presence of others. And it is hard for them to make their accomplishments known so they can be noticed and receive credit for what they have done. Often they choose to withdraw and remain in the background, even though they would rather be active and a part of the group. Shyness is a problem for many, and we should try to be aware of our friends and classmates who show signs of it. One way of helping them is to be sensitive to them when they are feeling bashful and gently to encourage them to join in activities. In this way they can feel part of the group and receive positive feedback on what they do. Once persons who are shy begin to be active they learn to believe in themselves and their fears and self-conscious thoughts are unfounded. Often this change begins with friends’ concern and interest in helping. 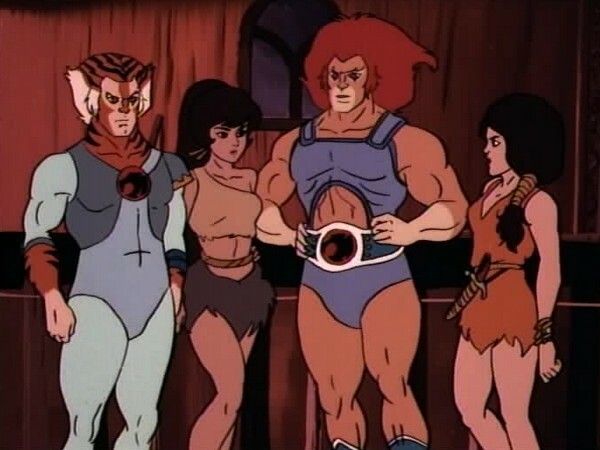 Like Lion-O, who helped Tygra and Nayda become visible again, we can help our shy friends become comfortable being in groups and in being noticed. 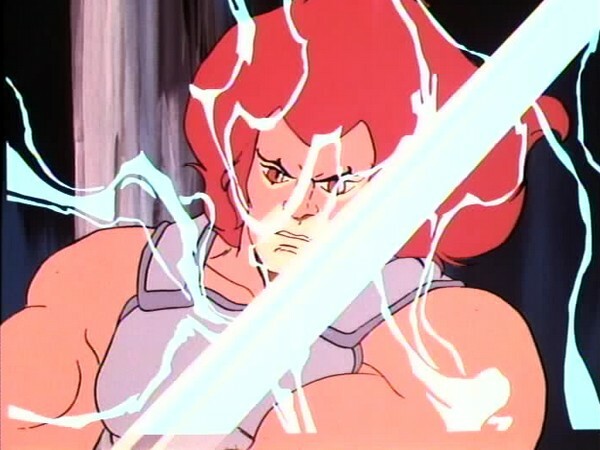 While Lion-O may be the main protagonist of the ThunderCats series, there have been a number of episodes which have shone the spotlight on characters other than the hereditary Lord of the ThunderCats. 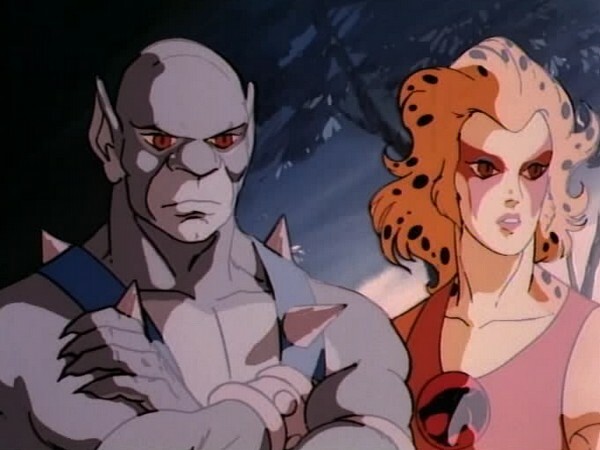 “Out of Sight” is a prime example in which Tygra and the Warrior Maidens dominate the screen time even though it is ultimately Lion-O who saves the day. The episode begins with the Mutants launching an all out attack on the Warrior Maidens’ Treetop Kingdom. 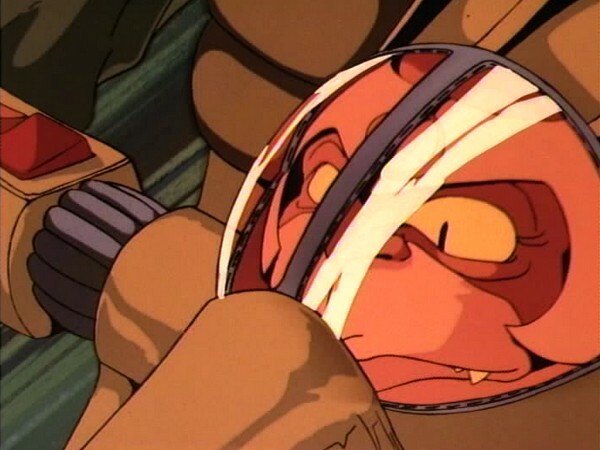 In almost all of the preceding episodes, the Mutants’ plans generally focused on either getting their hands on the Eye of Thundera or destroying the ThunderCats. However, this episode shows a unique, but no less sinister, side of the Mutants ambitions. Their goal here is to gain control of the Warrior Maidens’ territory by kidnapping their queen, Willa. This is the first time that the Mutants have actually thought about colonizing a section of Third Earth for themselves. 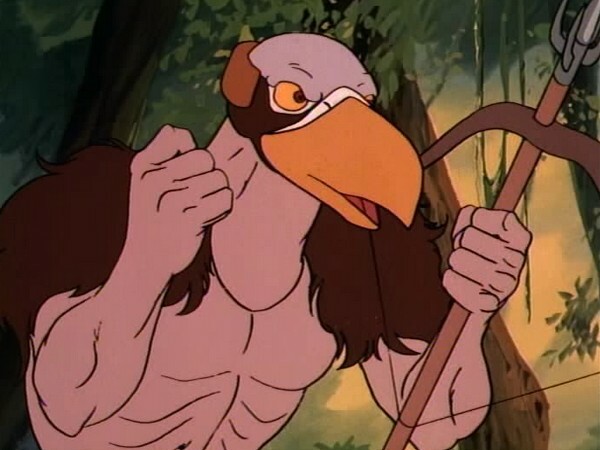 Since Mumm-Ra does not appear in this episode, it is unclear how the evil mummy would have reacted to this Mutants’ scheme given his obsession with being the sole ruler of Third Earth! In many ways, “Out of Sight” is quite similar to the earlier episode “The Fireballs of Plun-Darr”. Both share a number of plot points such as the Mutants attacking the Treetop Kingdom, Tygra and a Warrior Maiden going to Castle Plun-Darr, and Tygra using his invisibility to infiltrate the castle. However, while “The Fireballs of Plun-Darr” was a more intense and gripping episode, “Out of Sight” chooses a more light-hearted and humorous approach. 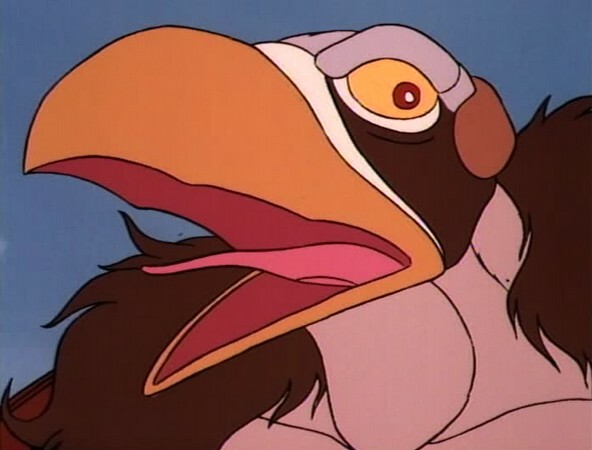 Whether it is an invisible Tygra using an old skull as a ventriloquist’s dummy to scare Jacakalman out of his hide, or him piloting the Flying Machine to attack the Mutants themselves, or the slapstick way in which the Mutants are defeated by the ThunderCats, this episode does have some genuinely funny moments. Unfortunately it is also this humor which weakens the episode by watering down the threat that the Mutants pose to Third Earth Natives and the serious predicament of Tygra and Nayda who had become stuck in an invisible state indefinitely. 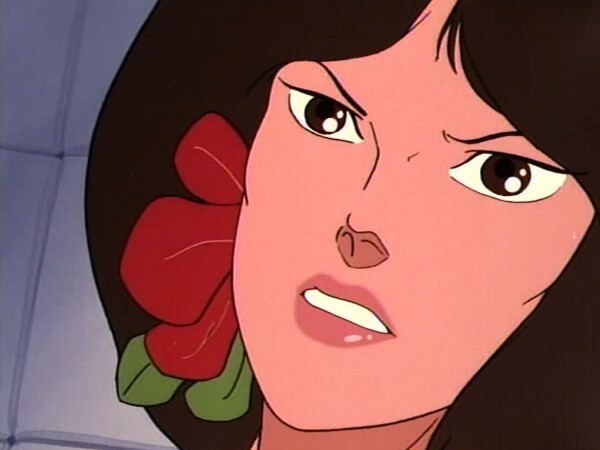 In “The Fireballs of Plun-Darr”, Willa had expressed her frustration at being caught between the ThunderCats’ conflict with the Mutants and this episode further explores this particular theme. 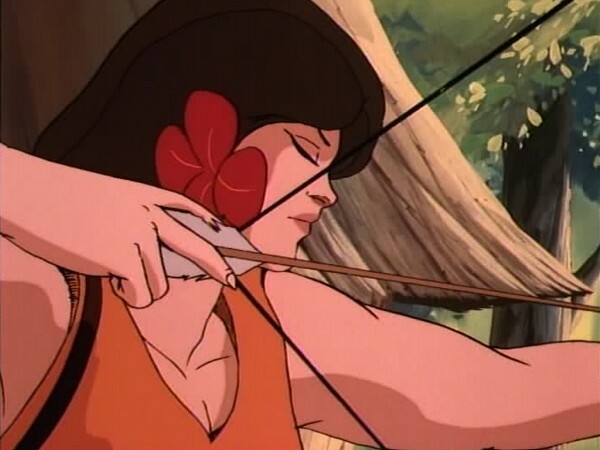 Interestingly, while the Warrior Maidens have always been shown to be self-reliant and fierce warriors, in “Out of Sight” it is made quite evident that their primitive weapons are no match for the Mutants’ high-tech arsenal and the Amazonian women have no choice but to enlist the help of the ThunderCats. 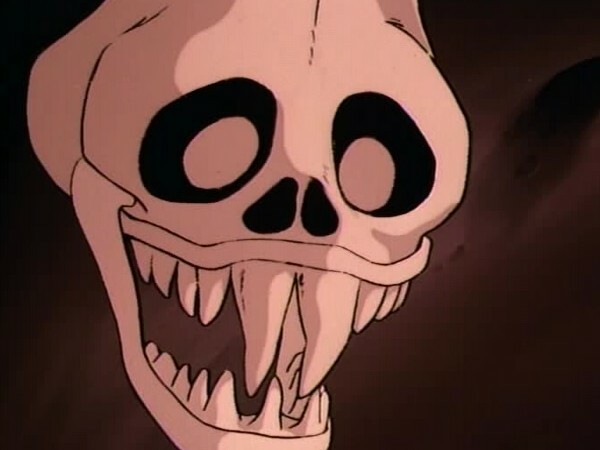 The animation quality of “Out of Sight” is rather average at best. The choppy and jerky character animation is a far cry from the beautifully smooth and fluid motions that characterized some of the earlier episodes of season one. There are a number of animation glitches throughout the episodes such as wrongly colored body parts and missing cels and while some of these mistakes my go unnoticed during initial viewing, on repeated viewings they do become quite obvious and at times, distracting. 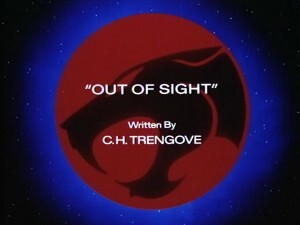 While “Out of Sight” may not be an outstanding episode, it does have its moments which make it an enjoyable installment in the ThunderCats series. 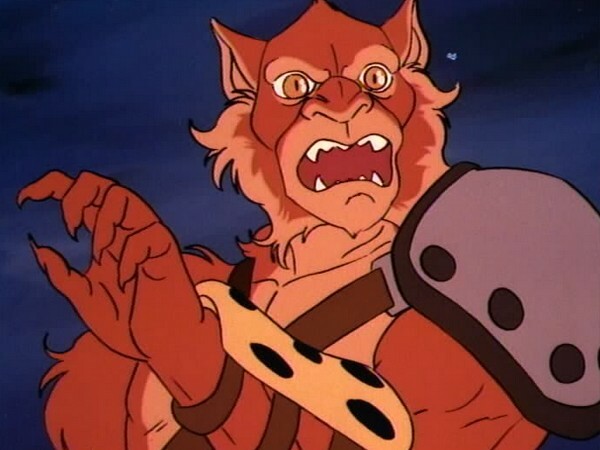 Neither Mumm-Ra nor the ThunderKittens appear in this episode and this is the first episode in which Snarf does not make an appearance. In the beginning of the episode, we see the “Mutant Detection Alarm” in action in the Treetop Kingdom. 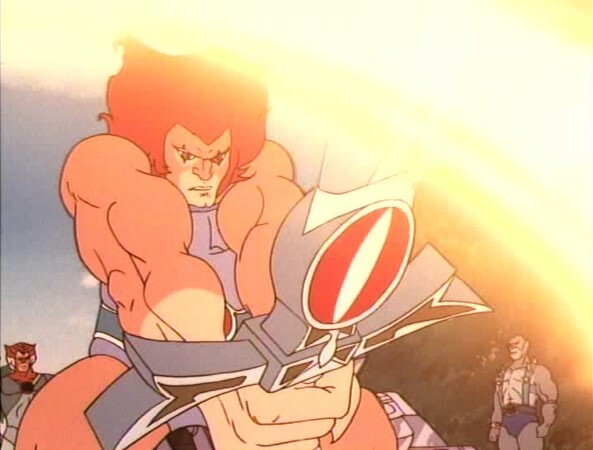 This device, designed to warn the Warrior Maidens of approaching Mutants, was invented by Panthro in the earlier episode, “The Thunder-Cutter”. We witness a new ability displayed by the Sword of Omens in which it is able to levitate Lion-O off the ground, much to the astonishment of the Mutants! Vultureman does a very convincing impersonation of the Wicked Witch of the West when he threatens: “I’ll get you! WAAAHHH” before running away form the ThunderCats. Intentional tip of the hat?